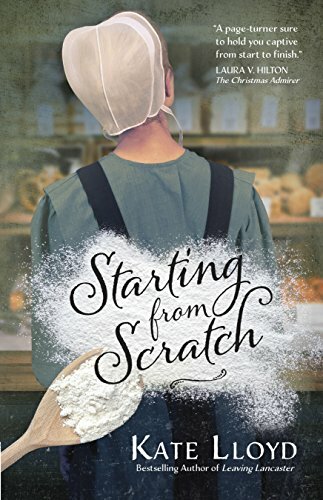 Kate Lloyd put a different spin on Amish life in Starting from Scratch, that I never thought about before, leaving me captivated in the first few pages. With her vivid descriptions she deposited me right in to the midst of mystery and romance. So many great charactors kept this story going for me. I cared for each one but Eva just captured my heart with the way she was treated and the words spoken against her. She was loving, hard working, and followed God. It reminds me not to believe everything I hear. This story kept me guessing on how it would end. Then, it didn't go as I imagined it would. I'm over it though and I enjoyed every page. This book was given to me by the publisher. I was not required to give a positive review.